Our “Flood of 2016” brought back some fond memories of visiting my grandparents’ house. I was always welcomed with a big hug before walking straight to the plant stand to see what treasures awaited. The hot Houston sun would stream through the sheers onto a spectrum of colors, all in full bloom. My grandfather would tell me about each plant and how to care for them. I was amazed at how such decadent flowers were the result of such little work. As contagious as it is, ‘violet fever’ quickly spread to my mother who started growing them on lighted shelves in her laundry room of all places. Hopefully, I can spread the same joy for African violets to my daughter one day. It came as quite a surprise when I found out recent that the number of members in AVSA has declined to just over 3000. I can’t help but wonder what it means for the future of our beloved hobby. 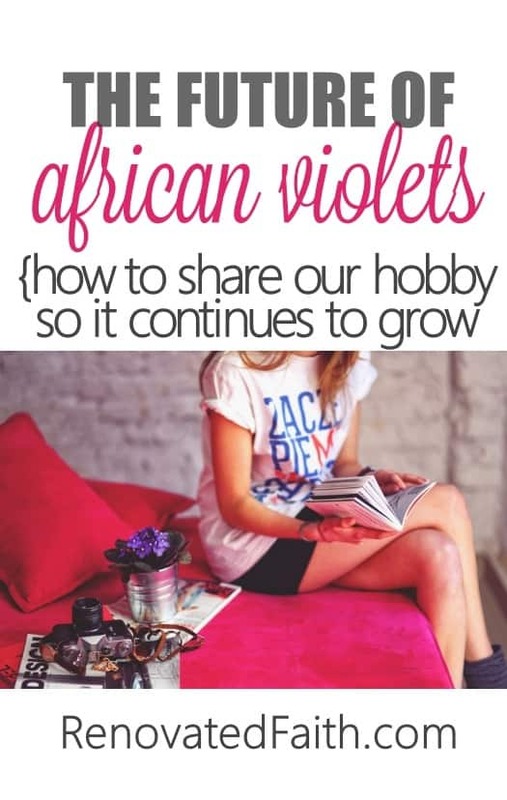 Continued interest in African violets is vital, not just to AVSA, but to the hobby as a whole. Encourage your children or grandchildren to grow plants in their windowsills as soon as they are big enough to hold the watering can. There are so many opportunities for a child to learn responsibility from a $2 plant. Teach the basics and gently tell them the best way to care for their plants – knowing that mistakes along the way are learning opportunities. Imagine their excitement when they see tiny buds appear and know they helped to make them happen. In preparation for Mother’s Day, Donna Juergenson roots many plants to give away to the children at church for them to give to whomever they wish. This past Mother’s Day was the second year she has given out violets and Donna had children waiting on her this year! She also included a sheet entitled “African Violets 101” with basic care instructions with every plant she gave out. I’ve made a habit of giving violets to new neighbors and my daughter’s teachers along with basic care instructions. I can’t imagine a better gift to give someone. Plants in Oyama pots are great for new growers. I have even hot-glued burlap and lace to the pots to make the gifts even more special. In preparation for a meeting, you should always have an open chair or two in case visitors come, but be sure to carry that same attitude into every aspect of the club. Keep in mind the potential demographic and skill level of newcomers when you are planning meetings and promotion. Continue to share knowledge knowing that most newcomers will probably know very little about violets. Problems a novice grower are likely to encounter are overwatering, thrips and lighting issues so these topics should be discussed. New growers who encounter such problems may get discouraged and give up without knowledge of simple solutions. Our club does an annual leaf bingo which is a great opportunity for inviting friends that are interested in the hobby. Be sure to make food and friendship a part of every meeting. 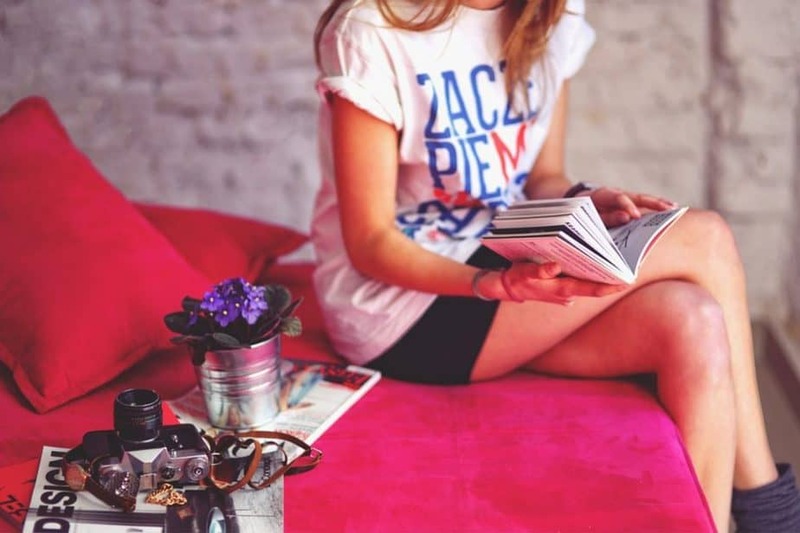 Gone are the days where advertising is done in the yellow pages. Instead, advertising dollars are spent on social media because that is where you will find younger generations. Use social media in promoting your violet club by putting millennials’ technical skills to work. Social media provides an opportunity to reach a much wider audience at any time of day. This may include a Facebook group where members can post questions and pictures of their plants. Also, Pinterest is a great resource for violet enthusiasts. Working just like a pin board, you can save images and go back to them later. Encourage club members to have Pinterest boards entitled “Violets I Have” and “Violets I Want” to make trading leaves easier and more engaging. YouTube videos can be a very helpful resource to help members with repotting, putting down leaves, and other skills. There are so many young adults who are “plant people” but we also want to convert them to “AV people”. 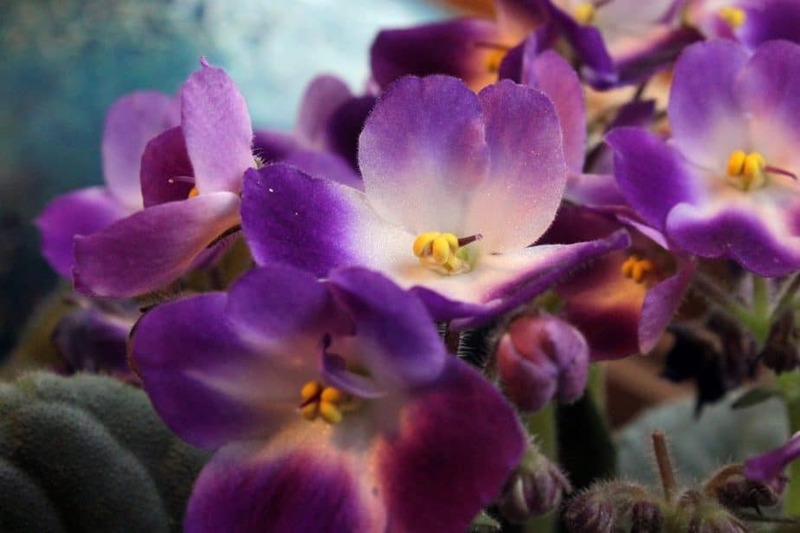 Each of us know how addictive African violets can be so providing accessible information is key, and the beauty of these plants will take care of the rest. Clubs can adapt to the changing needs of their members while still maintaining their greatest strengths. To engage younger people in our hobby, we must remember that friendliness, enjoyment and availability of useful information are the keys to any successful strategy. This is my daughter Morgan on a day when she was home sick from school. 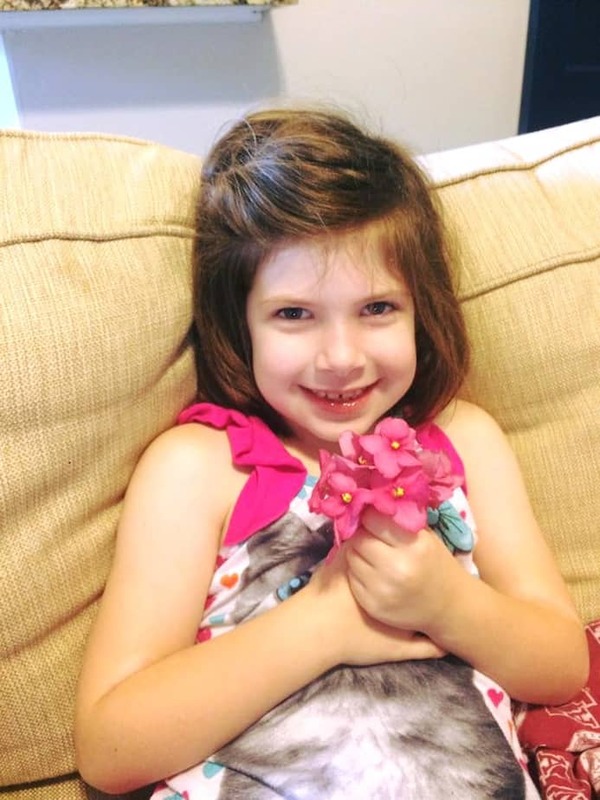 I think the violet blooms definitely cheered her up! CLICK HERE to get back to Bliss Street Violetry! 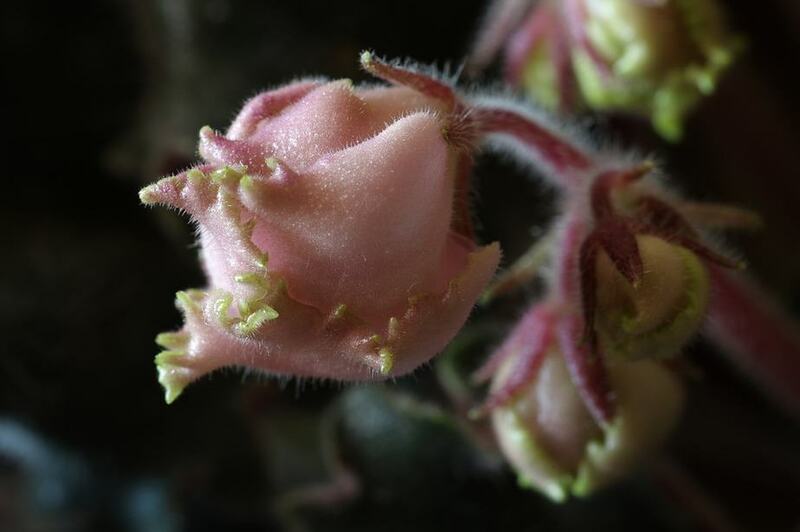 If you have any questions, feel free to contact me at [email protected] To get a weekly email featuring each week’s sale plants, CLICK HERE to be on Bliss Street Violetry’s Email List. 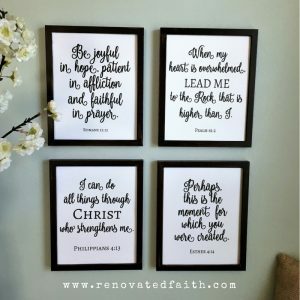 You can follow Renovated Faith Below! Outstanding! You are the hope for the continuation of our hobby!